Six directors of Middle East Studies at US universities have signed a public letter pledging ‘not to collaborate on projects and events involving Israeli academic institutions’. Their stance could potentially affect future public funding, because as heads of US Department of Education Title VI National Resource Centers, they are required by the Higher Education Opportunity Act to give assurances that they will ‘maintain linkages with overseas institutions of higher education and other organisations that may contribute to the teaching and research of the Center’. If their protests are not personal, and apply to the centres where they are directors, it would be in conflict with the assurances they gave in exchange for federal funds. The six directors are: Lila Abu-Lughod, Middle East Institute, Columbia; Marian Cooke, Middle East Studies Center, Duke; Osama Abi-Mershed, Center for Contemporary Arab Studies, Georgetown; John Esposito, Prince Alwaleed bin-Talal Center for Muslim-Christian Understanding, Georgetown; Helga Tawil-Souri, Hagop Kevorkian Center for Near Eastern Studies, New York University and Gabriel Piterberg, Center for Near Eastern Studies, University of California, Los Angeles. The six are part of a group of over 500 Middle East Studies scholars and librarians who have called for the boycott of Israeli academic institutions. The GMBDW reported in June that Dr. Esposito had testified before the UK House of Commons in a hearing about allegations of MB’s links to terrorism. 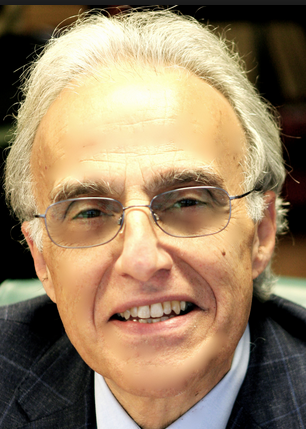 Dr. John Esposito is a professor of International Affairs and Islamic Studies at Georgetown University. He is also the director of the Saudi-funded Prince Alwaleed Bin Talal Center for Muslim-Christian Understanding at Georgetown University. Esposito, a former U.S. State Department advisor, has espoused views consistent with Brotherhood doctrine and during the 1990’s was known for his claims that Islamic fundamentalism was, in fact, democratic and posed no threat to the U.S. Dr. Esposito has at least a dozen past or present affiliations with global Muslim Brotherhood/Hamas organizations including having served on the advisory board of the Institute of Islamic Political Thought in the UK headed by Azzam Tamimi, a leader in the U.K. Muslim Brotherhood and often described as a Hamas spokesman. Dr. Esposito has also served with global Muslim Brotherhood leader Youssef Qaradawi on the Steering Committee of the Circle of Tradition and Progress and enjoyed a close relationship with the United Association For Studies and Research (USAR), part of the U.S. Muslim Brotherhood’s Palestine Committee and part of the Hamas support infrastructure. In 2005, Saudi prince Alaweed bin Talal, a financial supporter of the global Muslim Brotherhood, donated $20 million to the Center for Muslim Christian Understanding at Georgetown, headed by Dr. Esposito.